Static Garden Buildings built to last in Surrey UK - The Tiny House UK "Office". 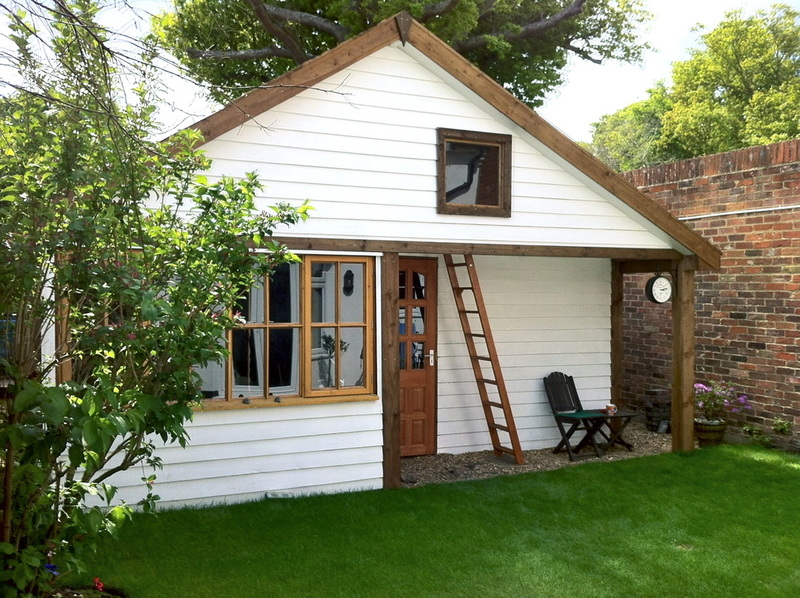 We also build static Garden Buildings in Surrey close to our workshop. They are built like a house, fully insulated and can be designed to your own ideas. Garden buildings have become very popular and Surrey has seen many new Garden Buildings being built as a form of extra living space. Built with a hardwood security door, double glazed windows, heat light and power with a real hardwood floor. We can even fit a small kitchen area, a shower room and WC and a open plan loft area that over looks the main room which can be used as storage or the space used for a temporary blow up bed for those kids sleep overs. Use the contact page above to arrange a quote today.